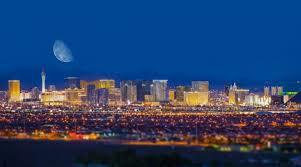 I’m currently in Las Vegas, the city that never sleeps. I believe New York “coined the term”, I’ve no idea, I’ve never been there. We are here for a business trip planned months ago. It feels like a yank on my chain when I “should be home packing to move”, but alas God said go, and I obeyed. At the time I had no idea why, I assumed it was to provide a slight time of rest in a schedule that makes the most hearty tired. I wasn’t completely wrong, but I’m starting to understand a bit more now. This city really never does sleep! The hotel mall shops don’t close till after midnight, some till after 2am. At all times the casino has desperate gamblers, hoping – praying that one more round will be the big payoff. Dreams hinge on the pull of a handle, turn of a card, or slow dropping off a little white ball into a black or red spot on a wheel. You can sense the tension that the illusion of money gives, it pours out of their sweat. Then there’s the never ending flow of booze. So they can be happy to give their money and time away. Rings under blind eyes, that plead for rest. Inner rest, physical rest, spiritual home coming. I must confess, I’ve always hated sleep. I felt life would get much more accomplished if it wasn’t required. I was born a night owl. I have often said God put me on the wrong side of the planet as I am best between the hours of 8pm-4am. I used to feel awful shame, like something was incredibly wrong with me because I couldn’t train myself to be a day bird instead of a night owl. God worked tirelessly to heal such thinking in me (no pun intended). I was born in a big city, used to things that had “open 24 hours” signs. Then we moved to Kalispell, MT. Oh how I resented the total shut down at 6pm. These people take their rest seriously! Just like Vegas takes its constant alertness seriously. Money can’t be made if people sleep. Rest provides sanity. It is a command to take one whole day to rest. God set the example at the beginning, and every time the order of rest is defied, bad things happen. Good things are missed, forgotten and eventually considered irrelevant. So I sit out at the entry to this magnificent hotel at 11pm, reading Wayne Stiles book Waiting on God. A strange Vegas combination, I’ll say. I’m learning why He brought me here, besides the reasons we signed up to come. To watch with new eyes what I’m like at all times inside. Wanting (even pure and good things) so badly for things to line up perfect so I can “rest”. My idea of perfect and God’s has always been a contrast between light and dark. One must wait on the line of definition to see the difference. That is the line we avoid, we don’t wait well. And if forced to, our spirits of restlessness and complaint, often blind the thin line of light dawning in the darkness. The sad illusion of this opulent place is that no rest – lack of sleep, prospers. Everywhere you look you see extravagant money. City of lights, for which its also called, drowns out the dawning of the sun. There are black out shades here such like you find in Alaska due to the lack of actual night in the sky. It’s a night owls dream. But I’m finding this night owl understanding the difference between function and frantic fretting. I don’t like it here. I want the rest God provides in quiet, solitude, everything shut down. Here, everywhere one goes there loud music, clanging and ringing machines, cell phones going off, cars coming and going with people happy to come and sad to go. Hung over on another sleepless search for – anything. Horns honking for attention or out of irritation. Bell hops whistling to serve the patron who likely just spent their mortgage payment so they could get paid to work. Restaurants serve delicious meals for outrageous prices. The illusion of getting full on food that keeps you hungry. All with a free drink, not soda, tea or water, but coffee or alcohol, they gladly pay to keep you restless and dumbed down in desperation. Everywhere you look one sees “the life that could be” if only, if only money rolled down like a red carpet to grace the fancy shoe that doesn’t fit. At first, the sadness of it all overwhelmed me. (A good thing – part of the process) Then, the gratitude for the ability to see how unsatisfying all this is compared to the sweet, soft, quiet presence of the God of the universe truly is. Now, as I wait on Him, to show me all this trip is meant to produce within my character, I’m leaning, leaning into His instruction, and even His silence (which often instructs more loudly). The rest He so insistently encourages us to take is the definition of true prosperity. Wealth beyond opulence and decor. Hope beyond a dollar bill. Draining dreams that can’t give rest of all that appeals – entices. Sobering, hungry and full of strength to wait on Him. Him who owns everything, makes everything, chooses everything and gives more than we know to ask for. Haunting the heart for the realness – true reality of Life, Yeshua – Jesus. I say haunt because we are so very unsure exactly what it is we desire most the time. But it’s always Him, no matter what we think it is, it’s always Him. Our hearts, mind, souls were created to desperately want Him! What a gift! And how cursed we can live trying to grasp anything else. Rest, inner and physical, is priceless. No one has ever painted an accurate picture of rest. Only God. He paints in active motion, real life, within moments that will never come that way again. Example? That place where you see a sunset or sunrise that takes your breath away. Or that moment of complete calm reflecting off of a lake, the surrounding creation reflecting the heart of its Maker, always at peace, sure, true – no trace of uncertainty. We blink and these moments are seemingly gone. At least to our physical eyes. But to our souls, when they line up with Him, they last a lifetime. Carry us into and out of chaos. They remind us why the Word speaks of all these times. ..to cry, laugh, die, live, love, hate, wake, sleep, war, peace, lie down, get up. ..you remember the one. All things are found in Him and Him in all things, without Him they are events to dread or wish never ended – always stuck in a state of slavehood. Chained to the moments themselves instead of the Timeless One. The hour of my rest now calls, but the One of Rest has and will continue to be with me here. I require a compete shut down (where His work continues profoundly), but He will never sleep, His is the city that never sleeps. This city is dead asleep even though they seem to be awake around the clock. I’m counting on that contrast to build something of His architecture within the halls of my heart tonight. Even as. ..I sleep. Tonight I’m grateful to go to sleep, rest in His arms, let Him move in ways that my wakefulness resist. I’m reminded, I depend on Him, awake or sleeping for all things – and He will not fall asleep on the job. Thank You Father, for rest. Rest of soul, heart and mind. Your rest. What a jackpot I’ve found this night. May it prosper me all the days and nights of my life!